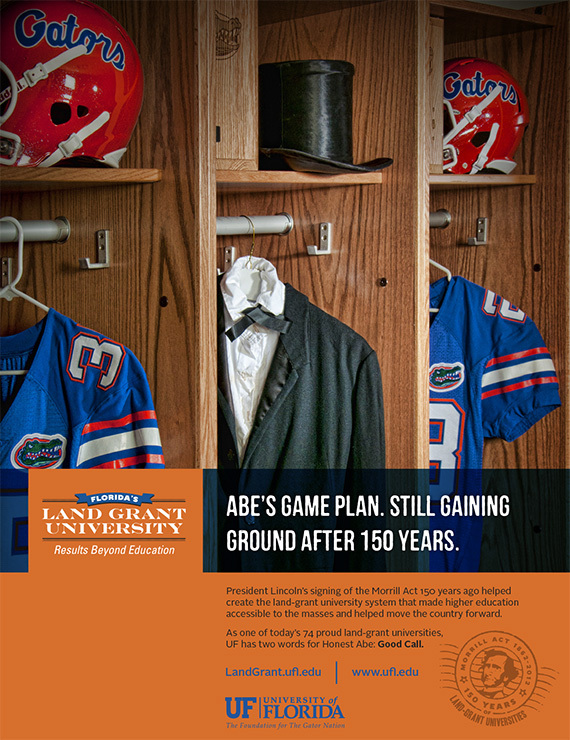 The Brief: Increase awareness of UF’s land-grant status and the 150-year commemoration of the Morrill Act, signed into law by Abraham Lincoln. The Morrill Act made the scope and impact of today's major public universities possible. 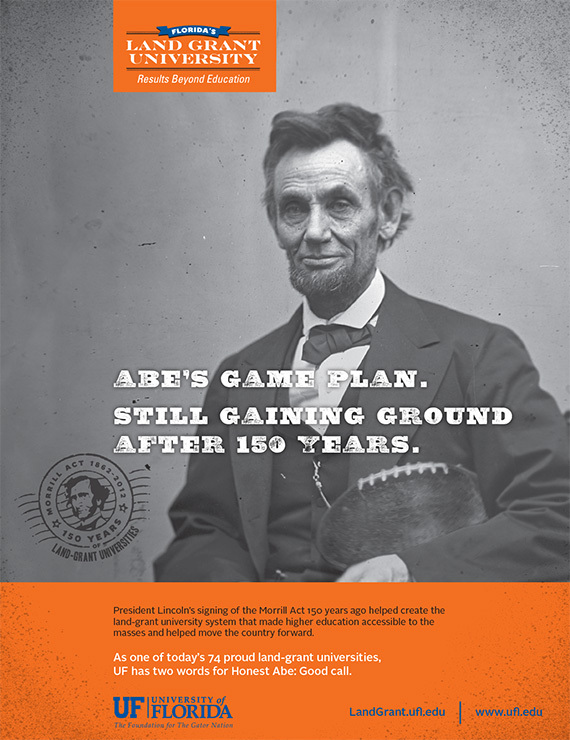 The Solution: Design two ads to run in UF football programs that in a light-hearted, but respectful manner, pay tribute to President Lincoln’s involvement in the land-grant legislation by using a football analogy.